Joanie Kleypas is a marine scientist at the National Center for Atmospheric Research, who investigates how rising atmospheric carbon dioxide is affecting marine ecosystems. She has been heavily involved in the topic of ocean acidification since 1999, and has served on multiple national and international committees to help define and tackle the problem. 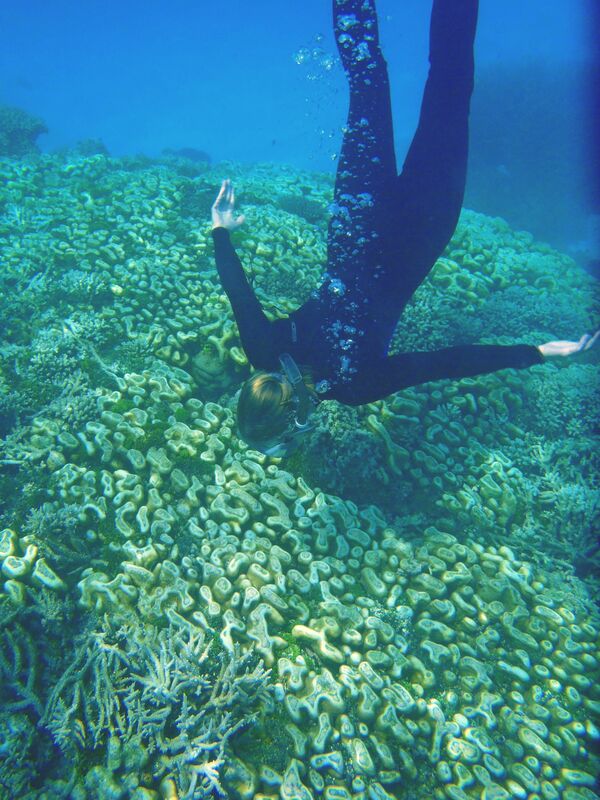 Joanie uses a combination of data analysis and modeling to understand coral reef response to climate change, with the goal to inform conservation strategies that ensure coral reef survival through this century. Joanie earned a Bachelor of Science degree in Marine Biology from Lamar University and a Master of Science degree in Marine Science from the University of South Carolina, with an emphasis in fish ecology. She obtained a PhD from James Cook University, as a Fulbright scholar to Australia, where she conducted a reef coring program to examine the history of reef growth since the last glacial maximum, and to determine why some reefs grow well in some areas but not in others. Photo credit: Dr. Derek Manzello. Outside of Science: Joanie enjoys almost anything of the ‘naturalist’ vein. She spends time bird-watching as well as observing and learning about plants, insects, amphibians and reptiles, and mammals. She draws much satisfaction from efforts to restore natural habitats. She and her husband own land that is part of a small ‘refugio’ in a tropical rainforest, and she is currently planning a reef restoration project for the Golfo Dulce, Costa Rica.